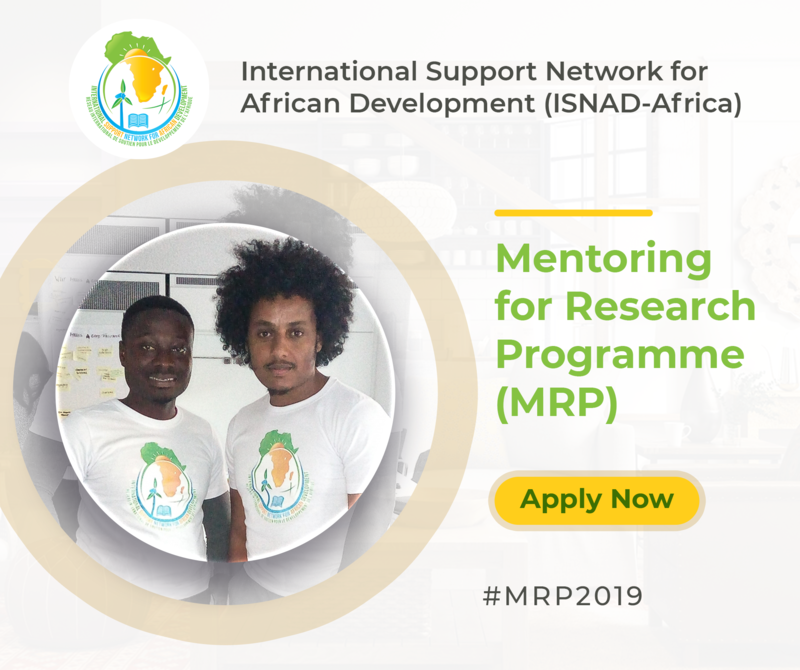 The International Support Network for African Development (ISNAD-Africa), a non-governmental organisation committed to “raising global and multi-stakeholder support for greener and climate-resilient Africa” has received applications from over 300 applicants from 108 universities in 22 African countries for the 2018-2019 Mentoring for Research Programme (MRP) for students in African universities. A statement from Adedoyin Adeleke, Founder/Executive Director, ISNAD-Africa, stated that the Mentoring for Research Programme helps students in African universities who conducting research on sustainable energy, environment and climate-based topics, access technical support (co-supervision) from researchers and professionals with fitting competencies across the globe through a structured, thematic and technical mentoring programme. Adeleke said that successful applicants (Mentees) are currently being supported by their mentors from international organisations in over 30 countries across the globe for the 2018-2019 Cycle of the mentoring. “The programme currently has, as Mentors, experienced researchers and professionals from world-class organisations and institutions such as Intergovernmental Panel on Climate Change (IPCC), World Wide Fund for Nature (WWF), Chatham House, Harvard University, University College London, University of Waterloo among international organisations and institutions. The statement added that ISNAD-Africa operates a trans-generational and interdisciplinary network of experienced professionals, researchers and students across the globe who is promoting sustainable energy, environmental sustainability and climate resilience in Africa. We are sorry you could not make it for the last cohort, if you are still on a postgraduate research programme, we encourage you to apply for the next call. It should be out in a few days. Thank you.